The Chapel - How do you want to feel? From our unique hair salon experience to our beautifully crafted products - everything we do is designed to encourage a moment of pause. We want to inspire you to feel your most confident, beautiful self. Our founder Amanda takes you through The Chapel experience - a time truly devoted to you. Discover our hair salons in London, Sevenoaks, Tunbridge Wells, Horsham, Marlow and Verbier. 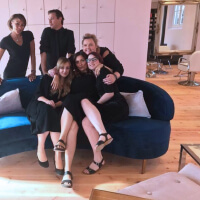 From the moment you step into one of our hair salons, you’ll be completely immersed in our unique experience built around our signature R.E.S.T ethos — Relaxation, Education, Service, and Tailoring. We go beyond just hairdressing, tailoring your time to your bespoke needs - whether that be to escape, relax, unwind or to completely transform yourself. 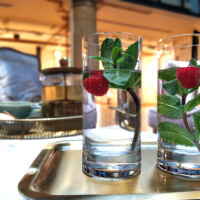 Inspired by the level of attention received in an exclusive spa or boutique hotel, we give you the full attention you deserve. It is not about us telling you how to look, but asking you how you want to feel. Our London salon is a welcomed escape from the hustle and bustle. A rarity in London: a place to truly relax. Unwind in our beautiful salon, housed within an ornate converted chapel, it encapsulates our ethos wholeheartedly. 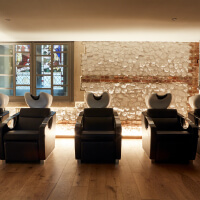 Set in the stunning town of Sevenoaks and just 30 minutes outside of London, our luxury hair salon is a place where you can take time to pause. Our freshly-converted salon sits seconds away from the conveniences and comforts of the town and a plethora of top restaurants. 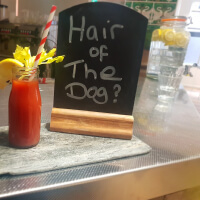 An ideal hidden hair haven in beautiful Marlow. Nestled in the Swiss Alps, our first international salon is unique in its offering - a complete hair salon complimented by a nail technician and masseuse all under the same roof. Best salon I ever been to. Every detail is thought of to bring comfort to customers. The best bit: the staff! They really know what they are doing and are extra friendly and welcoming. Hazel, you rock!!! "This place was spectacular from start to finish. 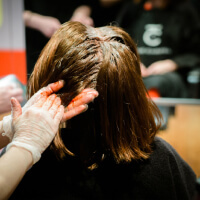 The knowledge of the staff and the venue itself are unlike any other salon in the country. My haircut was also expertly matched to my face shape and hair texture, and I'm so glad I was advised against a fringe. A must visit for anyone who is tired of rushed and cramped salons." Lovers of The Chapel on Instagram. Use the hashtag #lovethechapel to join in!